From new action rhymes and fingerplay ideas to creative crafts and songs that teach, this new resource belongs in every library that serves young children. 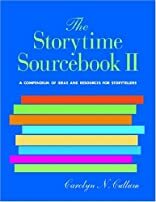 Designed to work in tandem with Carolyn Cullum s popular The Storytime Sourcebook, this new resource keeps the same thematic collection of programs but provides new books, songs, videos, activities, and more-virtually doubling your programming possibilities when you use both books together! You ll discover new ideas for programs related to children's physical, emotional, and intellectual needs. Cullum focuses on the diverse themes that intrigue children and prepare them for their upcoming school experiences, such as the alphabet, body parts, animals, babysitters, bedtime, birthdays, boats, banners, the circus, locks, clothing, nature, fairy tales, food, friendship, kites, insects, safety, oceans, grandparents, glasses, and more. 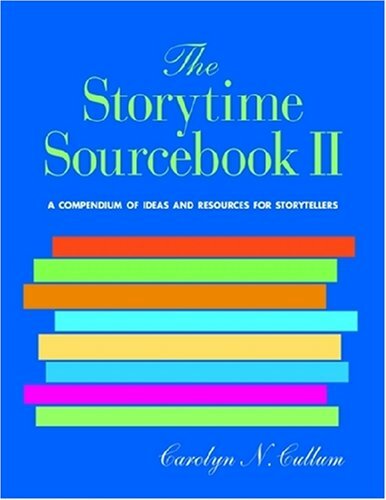 Storytime Sourcebook II includes: 145+ thematic ideas for storytimes 2,222 recommendations for books to use in storytimes 685 video suggestions 296 crafts 149 songs 146 musical movement ideas A total of 3,790 possible programs make this a must-have resource. With both The Storytime Sourcebook and The Stortyime Sourcebook II, you can have infinite possibilities for making the most of your children's collection (see special offer below).